When I arrived at the hotel, Katie sat next to the bright window, while finishing touches were made to her make-up. She sipped her orange juice bubbly and beamed as she laughed with some of her closest friends and family. She smiled with excitement because she knew in a few short hours, she would be marrying her best friend. Katie and Jesse were married in the beautiful St. Francis Xavier Church. Katie and her Dad arrived at the church shortly before walking down the aisle to see Jesse for the very first time on their Wedding Day. As Katie and her Dad made their way down the gorgeous aisle, Jesse’s reaction to his beautiful bride-to-be was unforgettable. They vowed their lives to one another, and shortly afterwards, friends and family cheered with excitement. 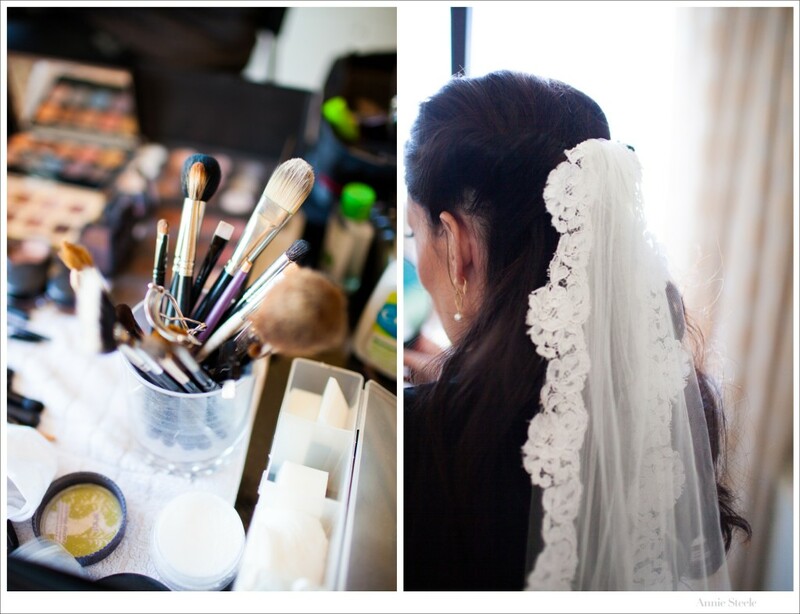 Katie wore her Mother’s beautiful veil from when her parent’s were married many years ago. 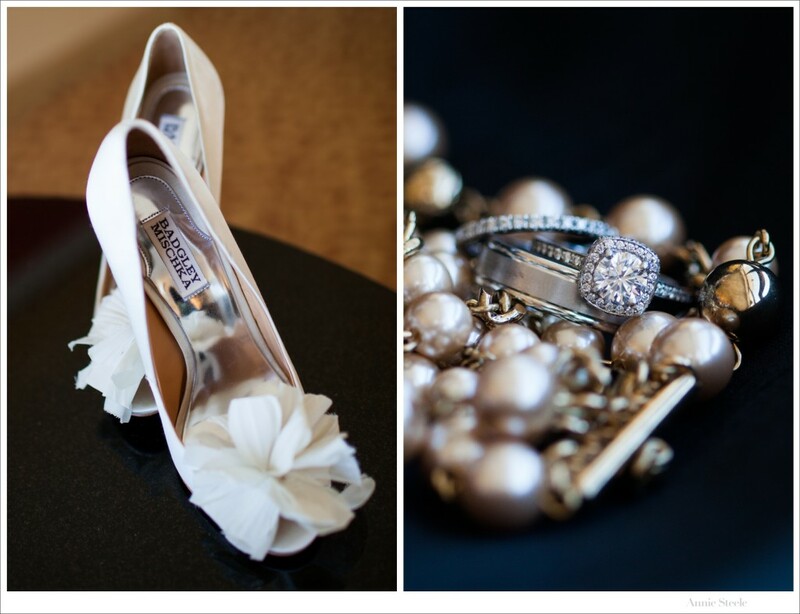 The Shoes, the Rings… PERFECTION! 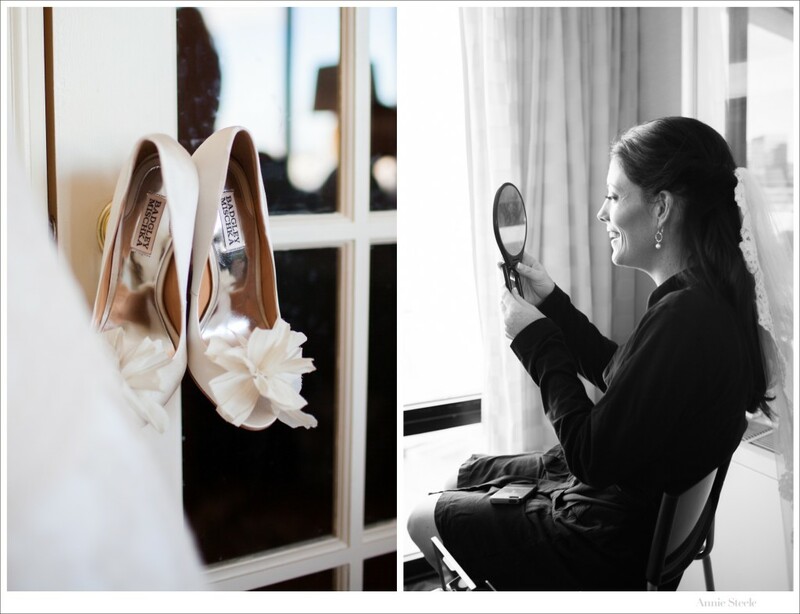 Katie… you make a STUNNING Bride! BEST BRIDAL PARTY AWARD goes to these awesome ladies whom braved the cold! Katie and Jesse arrived seperately at the gorgeous St. Frances Xavier Church in LaGrange just before getting married! Peter’s perspective on the left, and my perspective on the right! (The Bride and Groom seeing each other for the first time on their Wedding Day)! Who doesn’t love a good Bonfire to keep warm? Heartfelt speeches given by best friends are my favorite! I will end with these… because these two love life together and know how to throw one great party! Congratulations, Mr. and Mrs!